White Rock Minerals (ASX:WRM) today announced its planned exploration activities for the 2018 field season at its 100 per cent owned Red Mountain VMS zinc project located 100 kilometres south of Fairbanks in Alaska. Red Mountain is a globally significant VMS project with two already identified deposits — Dry Creek and West Tundra Flats. It contains polymetallic VMS mineralisation rich in zinc, silver and lead, with potential for significant gold and copper. Mineralisation occurs from surface, and is open along strike and down-dip. The company sees significant discovery potential in the project given the lack of modern day exploration at Red Mountain. This is further enhanced by the very nature of VMS clustering in camps, and the potentially large areas over which these can occur. Mapped below is the location of the Dry Creek and West Tundra Flats VMS deposits (purple shape of mineralisation projected to surface) with drill hole traces and priority EM conductors on DGGS geology map. 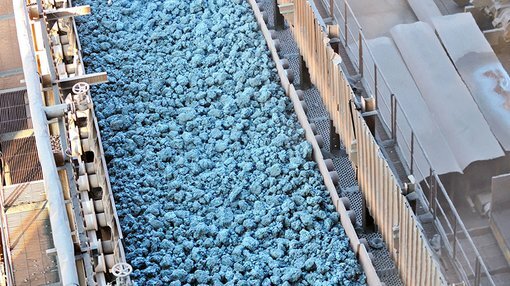 The targeted 3000 metre diamond drilling programme is planned for the new year, aimed at in-fill and expansion of the current globally significant maiden Resource of 16.7 million tonnes at 8.9 per cent zinc equivalent, including a high-grade component of 9.1 million tonnes at 12.9 per cent zinc equivalent. WRM also intends to conduct a 3000 metre follow-up diamond drilling programme on the best of the more than 30 already identified exploration targets. A diamond core rig will drill throughout the 2018 summer season, from May through to October. Drill holes will test for thickened intervals within the two known deposits (5-10 holes), numerous extension targets defined by geochemical and geophysical vectors (5-10 holes), as well as a number of the new targets as ground surveys early in the field season firm-up target locations for drill testing (15-30 holes). WRM also has plans for a comprehensive 1800 line kilometre of high-powered airborne electromagnetic (EM) geophysics to identify conductivity anomalies associated with massive sulphide mineralisation to depths of 500 metres. This data will augment the existing shallow EM that has identified 30 conductivity anomalies and importantly assist in prioritising those with depth extent and potential to be associated with a large VMS orebody (>10Mt). WRM will also conduct on-ground orientation ground geophysics in May-June to determine the best ground geophysics methods (EM, IP-resistivity, CSAMT, magnetics, gravity) to identify anomalies associated with mineralisation. Regional application of the best geophysics and geochemistry exploration tools will be determined from the on-ground orientation work. There are also plans for a dedicated field reconnaissance crew to map and sample all 30 near surface conductivity anomalies. Surface sampling would include systematic rock chip traverse sampling to characterise the geochemical alteration halo for each prospect area, as well as a focus on detailed sampling of any massive sulphide horizons identified. Prospective areas prioritised from the airborne EM and surface geochemical halo mapping would then undergo more detailed mapping, ground geophysics and geochemical sampling (rock chip and soils) prior to drill testing of the top five to ten targets. 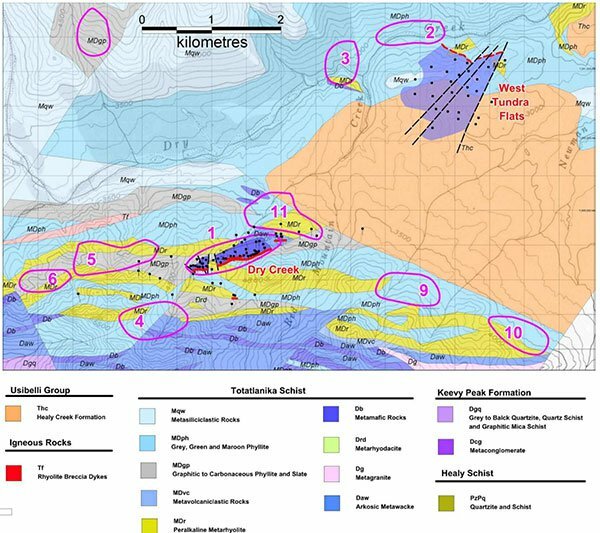 WRM Managing Director and CEO Matt Gill said, “Since acquiring the Red Mountain zinc – silver – lead – gold VMS project in early 2016, we have worked to assess the prospectivity of the area using the publicly available geophysics and geochemistry data. We subsequently expanded our strategic footprint 10-fold, and have also released a maiden Mineral Resource that immediately placed the Red Mountain Project in the top quartile of undeveloped high-grade VMS (zinc, silver, gold) deposits globally. The funding solution that Gill refers to is a $7.2 million Equity Placement Facility with Kentgrove Capital Growth Fund. An important part of the 2018 exploration programme highlighted by WRM is the plan to assess the potential for precious metal zones proximal to the massive sulphide mineralisation. Gold mineralisation is usually found at the top of VMS base metal deposits or adjacent in the overlying sediments. Gold bearing host rocks are commonly not enriched in base metals and consequently often missed during early exploration sampling. This provides an opportunity for potential further discoveries at Red Mountain.